There has been an increasing number of allergy-related deaths in children this year. Most recently, we learned of a 15-year old girl with a severe allergy to sesame seeds who died after eating a sandwich from an airport Pret a Manger in London. The sandwich was freshly made and wrapped with no ingredient list. It was confirmed that the baguette dough had sesame in it. Natasha Ednan-Laperous began feeling symptoms minutes after eating the sandwich. She had an itchy throat and later developed hives on her stomach. About 20 minutes into her flight she was struggling to breathe. After losing consciousness, flight staff and a doctor onboard provided CPR for the rest of the flight. Natasha was given two doses of epinephrine and was rushed to University Hospital of Nice. Unfortunately, it appears that she was initially given benadryl and delayed getting the epinephrine. She suffered cardiac arrest and was pronounced dead at the hospital. This incident prompted an inquest into Natasha’s death. Over 300 people attended her memorial service, and others are insisting on proper food labeling of all products. 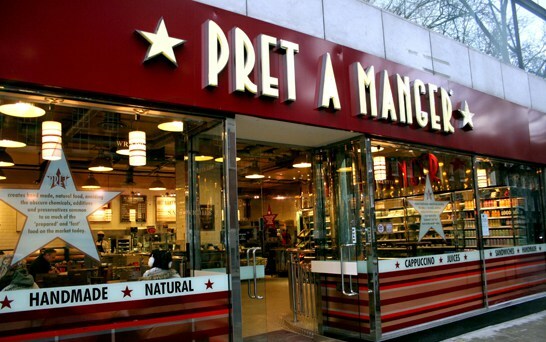 While Pret a Manger doesn’t label many of their products, an allergen guide is available in stores and online; but is this enough to keep children and adults safe? NY Allergy & Sinus Centers believes that that every product should be labeled to protect all food allergy sufferers. The inquest of this incident is just the start of spreading more awareness of food allergies. The inquest is set to last five days. It is important to see an allergist if you suspect having a food allergy. An allergist can test you to confirm your allergy and offer guidance on how to avoid an allergic reaction. They will prescribe you multiple epinephrine autoinjectors to carry with you at all times. You can prevent an allergic reaction by reading all the labels of food products. If there is not a label, ask the store manager for an allergen list. Remember that cross-contamination is still a possibility, so remain cautious when visiting new restaurants. In some cases, it’s safer to bring your own food when traveling. We understand that in Natasha’s case, epinephrine didn’t save her life; It is important to administer your epipen once you recognize you are having a food allergy. Delaying the use of epinephrine can lead to bad outcomes like this. It is important to carry an Epinephrine autoinjector if you suffer from severe food allergies. It is still the only effective treatment for anaphylaxis. How Can I Get Involved In Food Allergy Awareness? If you suffer from a food allergy or have a family member or close friend that does, it’s important to educate yourself on the symptoms and current treatments. It may be beneficial to join a group online or at a community center that recognizes food allergies. Foodallergy.org and foodallergyawareness.org are excellent sources for patient education. In addition, the allergists at NY Allergy & Sinus Centers provide weekly tips on how to navigate through allergies. Share your stories online to help others that suffer from food allergies. If you have questions about food allergies, call (212) 686-4448 to speak to the allergists with over 20 years of experience. *Original story reported from BBC News. Dr. Morris Nejat is an allergist and immunologist that specializes in hay fever, asthma, sinusitis, and food allergies. He is board certified with the American Board of Allergy and Immunology and the American Board of Pediatrics. You can schedule an appointment with Dr. Nejat by calling 212-686-4448.